Gina Kim’s five feature-length films and works of video art have screened at more than 100 prestigious international film festivals and venues including Berlin, Locarno, Rotterdam, San Sebastian, Sundance and Venice, as well as MoMA, the Smithsonian and Centre Pompidou in Paris. Theatrically released in France, Korea, and the United States, her films have garnered critical acclaim. According to Variety, "Kim's highly sensitive camera turns the film into a chamber-piece hushed eroticism and surprising narrative grip." Le Figaro said, "Kim is a fearless feminist who conceals an extreme sensitivity." Hailed by the Los Angeles Times as a "deeply introspective and accomplished art film," Film Comment selected Invisible Light (2003) as one of the 10 best films of 2003. Starring Jung-woo Ha and Vera Farmiga, Never Forever (2007) was the first co-production between the United States and South Korea. Kim was subsequently nominated in the Best New Director category at the Motion Picture Association of Korea’s Daejong Film Awards (the Korean equivalent of the Academy Awards) and was awarded the Jury prize at the 2007 Deauville American Film Festival. In 2009, Kim was a jury member at the 66th annual Venice Film Festival where her film Faces of Seoul (2009) premiered. In 2018, Kim and L’Ateliers des Cahiers published Seoul, Visages d’une Ville, a trilingual multimedia photobook essay that incorporates selected images from the film and Kim’s original voiceovers to adapt the meditative city film into a reading and auditory-visual experience. In 2016, Final Recipe was wide-released in China in more than 3,240 theaters. Final Recipe is a pioneering China-Korea co-production starring Michelle Yeoh and Henry Lau. The Hollywood Reporter noted the director’s ability to "[conjure] a non-exotic piece out of a territory-trotting narrative, where every place is made to seem like home." Prior to its release, Final Recipe was selected as the opening film in the Culinary Cinema sections of the Berlin and San Sebastian international film festivals. Kim's latest work is a Virtual Reality short titled Bloodless (2017). Based on a true story, Bloodless transforms the controversial issue of crimes by US military personnel stationed in South Korea into a personal and emotional experience. The film subsequently won the Best VR Story Award at the 74th Venice International Film Festival, Best VR Film Award at the 58th Thessaloniki International Film Festival and the Best Virtual Reality Short Film at the 15th Bogotá Short Film Festival. Filmmaker Magazine selected Bloodless as the Best VR Storytelling of 2017, praising the film as a “12-minute immersive stunner”. Kim was the first Asian woman to teach in Harvard University’s department of Visual and Environmental Studies. In acknowledgment of her special contribution to the teaching of undergraduates at Harvard College, she was awarded a Certificate of Teaching Excellence in 2014. In 2018, Variety magazine listed Kim as one of the “Top Teachers in Film, TV” noting Kim’s “keen understanding of the future of entertainment technology”. Following the success of Gina Kim’s Video Diary, Kim began making fiction films to further many of the same concerns as her documentary work. Invisible Light (2003) tracks the physical and psychological journeys of two Korean/Korean-American women, with a bold candidness that led Cahiers du Cinema to call it “a little block of feminine hardness and repressed anger.” Senses of Cinema also asserts that “Kim’s rigorous mise-en-scene matches the unflinching singularity of her vision.” In addition to winning the special award at the 2004 Seoul Women’s Film Festival, Invisible Light has been screened at more than 23 film festivals and in over 15 countries. Film Comment selected the film as one of the "10 Best Films of 2003" along with Quentin Tarantino’s Kill Bill and David Cronenberg’s Spider. Kim’s next film, Never Forever, premiered at the 2007 Sundance Film Festival and was nominated for its Grand Jury Prize. Starring the acclaimed Vera Farmiga and Ha Jung-woo, Never Forever engages the generic conventions of melodrama to examine facets of gender, sexuality, race and class for both women and Koreans in America. Never Forever was the first co-production between the United States and South Korea, and it was commended by Variety for “Kim’s highly sensitive camera,” which “turns the film into a chamber-piece hushed eroticism and surprising narrative grip.” Kim was nominated as Best New Director for the Grand Bell Awards (South Korea’s Academy Awards), and Never Forever won the Jury Prize at the 2007 Deauville American Film Festival. Following a commission by the Korea Foundation, Kim returned to her documentary work and created a video essay called Faces of Seoul. Charting her journey to Korea after living for many years in the United States, Kim composes a breathtakingly candid and intimate portrait of the ever-changing city. Praised as a “palimpsest of time” by Seoul National University Professor Min Eun Kyung, Faces of Seoul combines both original and archival footage, including video taken by Kim herself of the infamous Sampoong Department Store collapse in 1995. Faces of Seoul premiered at the 2009 Venice Film Festival, where Kim was invited to be a jury member. In 2018, Kim and L’Ateliers des Cahiers published Seoul, Visages d’une Ville, a trilingual multimedia photobook essay that incorporates selected images from the film and Kim’s original voiceovers to adapt the meditative city film into a reading and auditory-visual experience. Kim’s feature film Final Recipe is a pioneering China-Korea co-production starring Michelle Yeoh and Henry Lau. Final Recipe is the first English-language film made by an Asian director with all Asian stars, and it can be seen as Kim’s response to any sense of a single dominating Asian culture, as well as Hollywood’s past appropriations of Asia. With actors and crew from all over the continent, such as China, Japan, South Korea, Singapore and Thailand, Kim seeks a Pan-Asian spirit arising from common ground: the valuing of food and family. The Hollywood Reporter commends Kim for how “she conjures a non-exotic piece out of a territory-trotting narrative, where every place is made to seem like home.” Final Recipe was selected as the opening film in the Culinary Cinema sections of the Berlin and San Sebastian International Film Festivals, and in 2016, the film was wide-released in China in more than 3,240 theaters. Kim's latest work is a Virtual Reality short titled Bloodless (2017). Based on a true story, Bloodless transforms the controversial issue of crimes by US military personnel stationed in South Korea into a personal and emotional experience. As of 2018, Bloodless has screened at close to 40 international film festivals and a dozen other venues worldwide, and has been noted for its importance in advancing storytelling in the medium as an experimental live-action virtual reality film. Filmmaker Magazine selected Bloodless as the Best VR Storytelling of 2017, praising it as “an immersive stunner”, and Anthem Magazine commended the film’s ability to use VR as “a potent tool for experiential film and experiments in social technology”. Bloodless has gone on to win several awards, the Best VR Story Award at the 74th Venice International Film Festival, the Best VR Film Award at the 58th Thessaloniki International Film Festival and the Best Virtual Reality Award Short Film at the 15th Bogotá Short Film Festival. As evident through the engagement with cultural critique and film history found in her work, Kim is deeply invested in cinema’s place within academia and as a powerful educational force. Between 2004-2007, and from 2013-2014, Kim has taught film production and theory classes at Harvard University, being the first Asian woman teaching in her department. 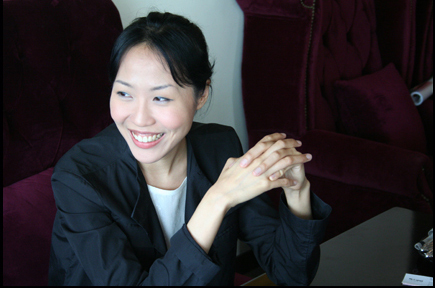 Kim’s Korean Cinema course was also the first of its kind taught at an Ivy League college, and in 2005 she curated the series “Visions from the South: South Korean Films from 1960-2003” at the Harvard Film Archive. Following Kim’s propensity for firsts, this series was the first Korean cinema retrospective ever screened in New England. In 2014, Kim was presented with a Certificate of Teaching Excellence as recognition of her accomplishments in furthering undergraduate education and diversity of the university’s curriculum during her years at Harvard. In 2015, Kim joined the faculty of the Department of Film, Television, and Digital Media at University of California, Los Angeles. She continues to give public lectures at educational institutions worldwide to provide insight into international co-production and promote the significance of film in issues of gender, transnationalism, and social justice. In 2018, Variety magazine listed Kim as one of the “Top Teachers in Film, TV” noting Kim’s “keen understanding of the future of entertainment technology”. Kim is a passionate dismantler of boundaries, whether those between East and West, academy and industry, the mainstream and the marginal, or the cerebral and the sensual. In her teaching and her art, Kim is a filmmaker attentive to linguistic, racial and national difference, yet she also strives to transcend it. Lecturer, Korean National University of the Arts, School of Film and Multimedia (Seoul, Korea), Spring 2004. Lecturer, Hanguk University of Foreign Studies, Communications Department (Seoul, Korea), Fall 2000. Lecturer, Kwang-woon University, Communications Department (Seoul, Korea), Fall 2000. Film Critic, www.artcenter.org, Fall 1999-Spring 2000. Cosmopolitan Korea, "Fun, Fearless Female - Women of the Year 2007"
Artist Talk, Tokyo New Cinema Jukyu, "The Desires within the Images", Japan, July 2014. Guest Lecturer, Block Seminar, "Understanding Film Grammar," Department of English Language and Literature, College of Humanities, Seoul National University, January 2014. Public Lecturer, "Filmmaking in the age of globalization", Woosuk University, South Korea, April 2013. Panelist, "Tracing the Absence," forum on the films of Margeurite Duras, Art Seonjae Center, South Korea, November 2011. Public Lecturer, "Video-confession," Seoul National University, School of Fine Arts, South Korea, October 2003. Panelist and Lecturer, "A Director's View of Filmic Language, Style, and Rhythm," University of Hawaii at Manoa, USA, September 2003. Lecturer, "Discussing Personal Documentary and Digital Video," experimental video seminar, University of California, Irvine, Department of Film and Media, USA, May 2001. Moderator/Lecturer, Pusan Film Commission, Digital Filmmaking Seminar, South Korea, November 2000.